Here at Enormis Mobile Specialties, we take pride in providing our clients with products that they’ll love and benefit from for years down the road. The Citamat 2-way remote car starter is definitely one of those products. This system features a small, yet sleek, remote and ranges in price from $400 to $600, fitting almost any budget. 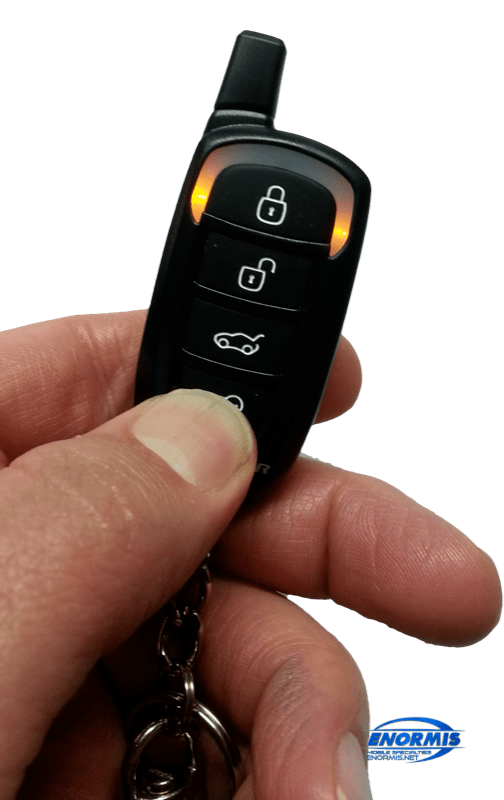 This remote start system features a two-way remote, meaning that it will give you a confirmation alert when you lock, unlock or start your vehicle. If you push the Lock or Unlock button on the remote, you’ll see a flashing green light, letting you know that the vehicle responded. When you push the button to start your car, you will also see a flashing green light, letting you know that your vehicle received the signal. When the vehicle actually starts, your remote will beep and flash green again. This two-way feedback is a great benefit, since there could be times when you thought your vehicle started, but you didn’t hold the button down quite long enough. Extra confirmation and security come with this Citamat two-way remote. 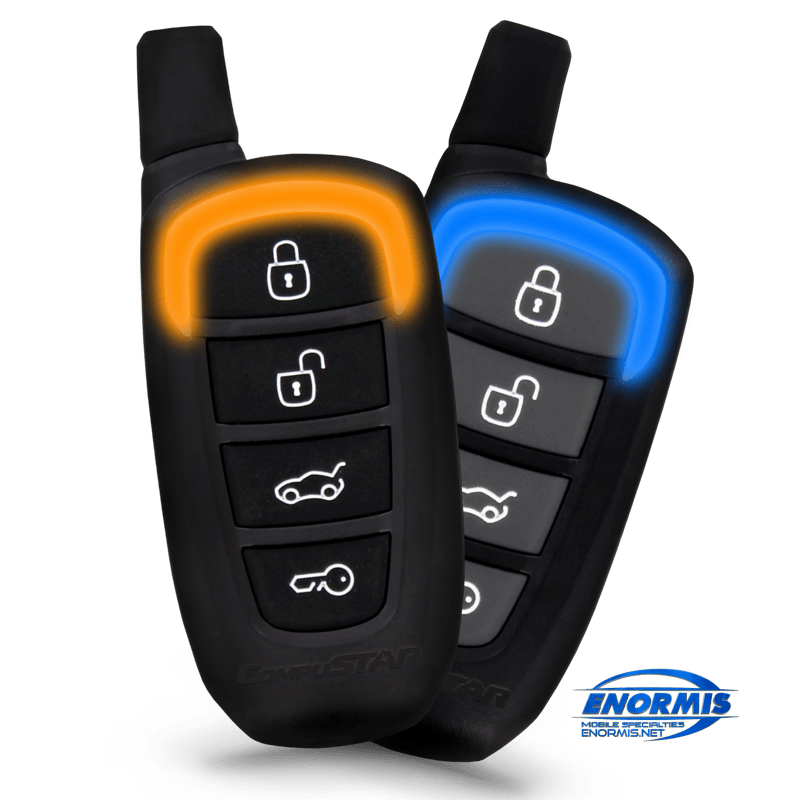 If you ever park your car and enter a building where you can longer see your vehicle, you’ll love the Citamat two-way remote starter. With its .6 mile range, you can be more than half a mile away from your vehicle and still use your remote. This is wonderful, especially when it’s freezing outside and you want to warm up your car before you get in it, or it’s a hot summer day and you need to cool your car down. Once you start your vehicle with the Citamat remote, it will run for 15 minutes before the engine shuts off. This provides plenty of time to get the interior of your vehicle to the temperature you desire. Enormis Mobile Specialties is an automotive electronics shop, not just an audio store. Would you want someone who knows only the basics of your vehicle to mess with its complicated systems? Or would you like a team of experts specializing in the electrics of your complex vehicle to install a remote start in your car? Our store is MECP-certified, with some of the best-trained technicians in the area. We invite you to stop by our store in Erie, Pennsylvania, to learn more about the products we offer. You can also contact us here for more info. To see all of our remote start models, click HERE.